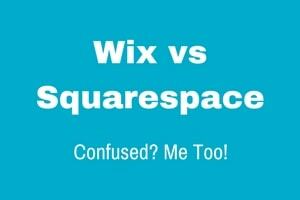 Trying to decide between Wix, Weebly, Squarespace, and Jimdo is no easy task. They are 4 of the most popular website builders on the market and to be honest, it can be downright daunting! With that in mind, the aim of this comparison is to put the main pros and cons of each platform under the microscope allowing you to narrow down your choices and uncover the right platform for your website. Just in case you don’t have time to read through the whole comparison, I’ve left you a handy “cheat-sheet” below which I think you’ll find quite helpful! Cheat Sheet – For Those In a Hurry! Conclusion – Which One Will You Choose? Pricing: Plans range from free – $25/month (when billed annually). Comments: Very beginner friendly with a selection of over 500 industry-specific design templates to help you hit the ground running. 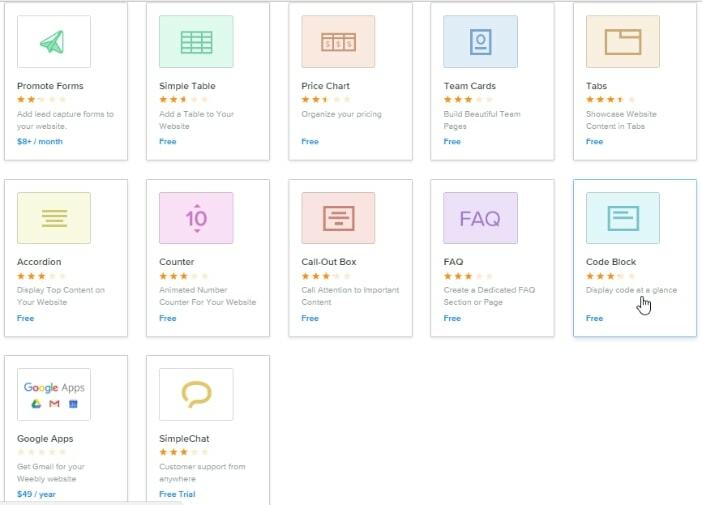 A plethora of add-on features to help you manage and grow your business. Wix is a solid all-rounder but not the best option if you’re intending to sell hundreds of products. 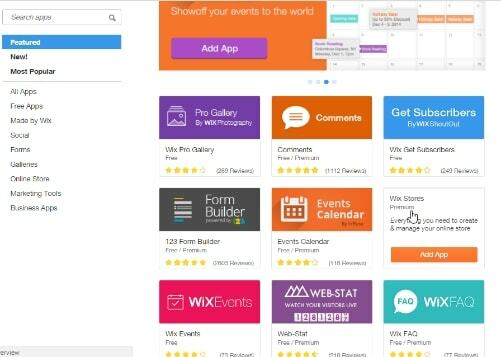 Try Wix for free or read the full review here. Pricing: Plans range from free – $38/month (when billed annually). Comments: Weebly is all about keeping things simple while still providing you with all of the tools you’ll need for a functional website or a small-medium sized online store. Weebly’s templates are of a good quality but there just isn’t that many to choose from. Try Weebly for free or read the full review here. Pricing: 14-day free trial, plans range from $12 – $40/month (when billed annually). Comments: Squarespace lend itself to designers, photographers, designers, artists etc thanks to their beautiful image focused templates. Also has a fantastic eCommerce & blogging platform. Although by no means difficult, Squarespace comes with the steepest learning curve of the platforms covered here. Try Squarespace for free or read the full review here. Pricing: Plans range from free – $20/month (when billed annually). Comments: Jimdo has a strong focus on eCommerce and is a good all-rounder. You can use Jimdo in a variety of languages, create a multilingual website, and they have support teams based around the world. I have to say that Jimdo’ s templates are my least favorite of the bunch. Try Jimdo for free or read the full review here. #1 Great looking, industry-specific templates: Whether you’re looking to create a website for your business or a hobby site, if you can’t find a suitable template then I’ll eat my proverbial hat! I’ve known a few business owners personally, who don’t either don’t want to or simply don’t have the time to mess around with a generic template and try to manipulate it to fit their business. It usually ends in frustration. Instead, they want something a professional, modern design right out of the box that they can simply”plug” their business into by swapping out the text and images with that of their own. That’s exactly what Wix offers. #2 Artificial intelligence: When you sign up to Wix you have a choice. You can either create your website the conventional way by dragging and dropping elements text and images around your page, or you can take Wix ADI for a test drive. Wix ADI (artificial design intelligence) allows you to build your website by answering a series of questions about your business and also attempts to gather any existing information from your social media sites etc. If you’re happy with the finished product you can go ahead and publish your site live to the web or you’ll have the option to manually edit your site in the usual way and make those final tweaks. #3 Wix App Marketplace: So, you’ve created the basic framework of your website such as the home, about, services and contact pages now what, what action do you want your visitors to perform when they land on your site? Maybe you want them to fill out a contact form, sign up to a newsletter, schedule an appointment, make a purchase, or follow you over to your social media channels. You’ll find it’s easy to add these features above plus many more by visiting the Wix App Market and most of them can be installed with just a couple of clicks. Some apps are free and others have additional costs attached. #1 Unable to change templates: One of the biggest things that draws people to Wix is the sense of freedom you get that you don’t get with most other website builders. Strangely enough, this can also be one of their biggest cons. You see, the templates are so customizable and you have the freedom to move just about anything anywhere, this doesn’t translate well when you attempt to carry your masterpiece over to a new template. The result, once you’ve chosen a template, you can customize it until your heart’s content but you can’t change it. Having said that, as they are industry-specific, will you really need to change it anyway? #2 Wix cheapest plan contains ads: If you’re on a tight budget or don’t have a budget at all then the good news is Wix offers a free plan and a cheap premium plan at $5/month. There is a tradeoff though. You’ll have to put up with a couple of quite prominent ads on your site. If it’s a personal hobby site then it may not be an issue. However, if it’s your business, well first impressions an all that! Most website builders display ads on their free plans but usually remove them when you upgrade to a premium plan. To get rid of the ads, you’ll need to choose the Combo plan at $10/month. Visit Wix – Create a free website with Wix to see if it’s the right platform for you. 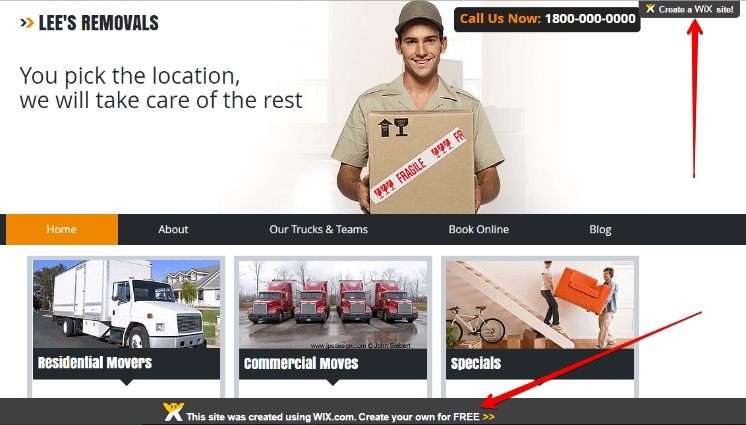 Wix Review – Take a closer, more intimate look at Wix including what to expect and pricing. #1 Perfect for newbies: If ease of use is your top priority, then Weebly could be your best option. While the other website builders on this page aren’t particularly difficult, Weebly trumps them all thanks to their newbie friendly interface and simple drag and drop editing system. #2 Well laid out templates: Unless you hire a web designer, or you are one yourself, how are you going to know how to properly lay out your pages so they flow correctly and make people want to stick around? The good news is when you add a new page, you’ll be able to choose from a wide selection of page layouts (sections) with generic content. Once you’ve chosen your layout, you can then edit the text and images to make it your own. #3 Weebly App Center: Like Wix, Weebly also has a central location where they keep all of their apps. Again, not all are free as they have been created for Weebly users by third-party developers. Inside the App Center, you’ll find eCommerce features, social media integration and other tools such as tables and even live chat functionality. #1 Limited template options: I know what you’re thinking, only a moment ago I was praising Weebly for their design layouts which I stand by. However, the actual amount of templates you have to choose from in the first place is fairly limited and they’re quite generic to boot. Not really industry specific like Wix. #2 Limited customization: The lack of themes wouldn’t be so much of an issue for me if I could take a template and completely revamp it to make it my own. But in my experience, the lack of advanced customization options make it a difficult task. For example, when I created my test site I was trying to change the color of a button (call to action) but couldn’t find a way of doing so. I thought it was me, I even contacted site support to see what I was doing wrong. Turned out, it simply wasn’t possible. Visit Weebly – Create a free website with Weebly to see if it’s the right platform for you. Weebly Review – Take a closer, more intimate look at Weebly including what to expect and pricing. 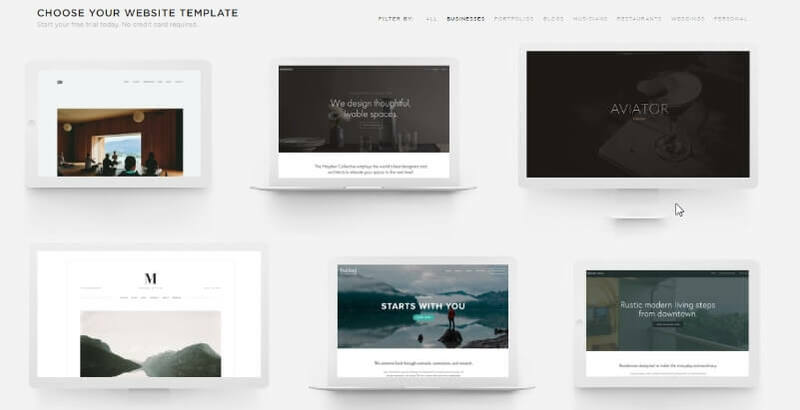 #1 Best quality templates out of them all: Again, Squarespace doesn’t offer that many templates but the ones they do have are a cut above any other website builder I’ve reviewed so far. If you’re a photographer or a business with plenty of great quality images at your disposal (which you could take yourself), then Squarespace will allow you to make the most of them. #2 Very customizable, make it your own: So you’ve chosen your great quality template but it’s still kinda generic, now what? Well, Squarespace puts you in the driving seat and makes it possible to tweak just about every nook and cranny of your website until your completely satisfied. #3 eCommerce capabilities: While all of the builders on this page allow you to create an online store, I feel that Squarespace does it really well with their in-house eCommerce platform. 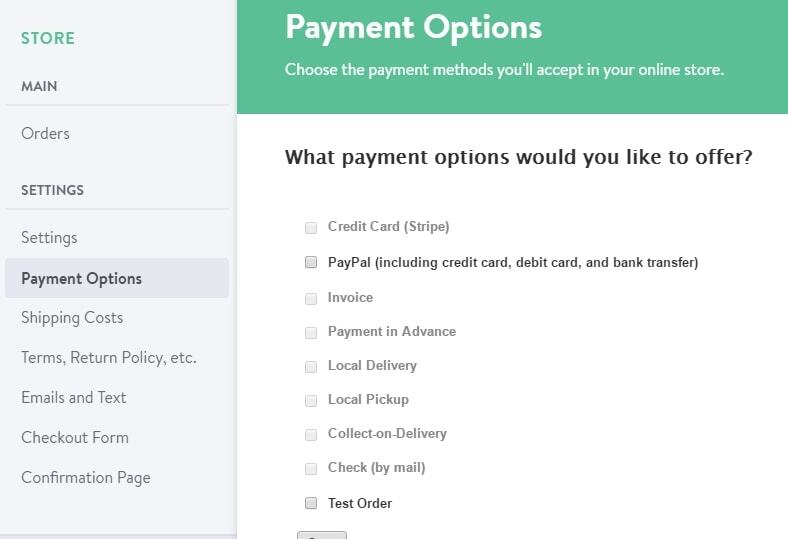 You can easily add a product to your page, add product variants such as size and color, set tax and shipping costs and then allow your customers to make payments by credit card (through stripe) Paypal or Applepay. The top quality eCommerce templates are the icing on the cake! #1 Steeper learning curve: With a greater level of control comes, yep, you guessed it, a steeper learning curve. As much as I like Squarespace, even I had to spend time delving deep into the training before I felt comfortable building my test site. Even then I had to keep popping back to find out how to do stuff. #2 No in-house app store: I was quite surprised about this. As one of the market leaders, I assumed that Squarespace would have a huge app store bursting at the seams. No such luck. That doesn’t mean you can’t enjoy the same level of functionality as other website builders because you definitely can. They recommend apps which you can seek out and then they can be installed by adding a little bit of code. It may sound technical but it’s really quite a simple process plus there are tutorials that’ll walk you through step-by-step. It’s just not as simple as clicking the “add” button like with Wix and Weebly. Visit Squarespace – Create a free website with Squarespace to see if it’s the right platform for you. Squarespace Review – Take a closer, more intimate look at Squarespace including what to expect and pricing. #1 Jimdo Dolphin: Like Wix, Jimdo has recently introduced a way for you to create a custom site using artificial intelligence and it’s called Dolphin. Dolphin will ask you a series of questions about your business and gather any existing information already online to create a custom site which you can then edit before going live. I don’t mind admitting I’ve had my reservations about Jimdo in the past as you’ll see in the cons section below, but Dolphin’s changed that for me and I now enjoy creating new sites with Jimdo again. #2 Fantastic well laid out eCommerce features: Like Squarespace, I also really like Jimdo’s eCommerce features which are in house and you won’t have to go installing third party software. While you can sell 5 items as a free user, if you serious about selling goods from your site, you’ll probably want to upgrade to one of their premium plans to unlock the features. The good news is, you can test it out free for 7 days. If I was to create an online store today, Jimdo would definitely be on my shortlist as would Squarespace. #3 Create or manage your website on the go: A question that I hear all of the time is “can I create a website from my mobile device?” The answer is yes, you’ll be able to create and manage your website straight from your smartphone or tablet. #1 Least favorite templates: Jimdo’s templates are by no means ugly, far from it. The problem is there’s just not many to choose from. At least with Weebly, the pre-designed layouts are a nice feature and help them claw back some ground in the design stakes. Not something I can say about Jimdo. I hate to say it, but Jimdo templates are my least favorite when compared to the other platforms on this page. #2 Limited customization options: If only they had more customization options, you’d be able to do a lot more with the generic templates but unless you know how to code (which I don’t), you may end up a little frustrated at not being able to make changes outside of the basics such as text, images, positioning and general site color etc. Visit Jimdo – Create a free website with Jimdo to see if it’s the right platform for you. Jimdo Review – Take a closer, more intimate look at Jimdo including what to expect and pricing. I sincerely hope this comparison has been able to lift the fog and not just confused you even further! One thing I would like to point out is, just because I think a particular website builder is the easiest or has the best templates, these are my personal opinions and findings from my reviews. The truth is, you could have completely different views and the only way to know which one is right for you is to test a couple for yourself with a free account or free trial. Yes, I know testing a couple of them will take longer, but the last thing you want is to simply jump in and then find it’s not a good match down the road forcing you to start over. You’ll save both time and money this way in the long run. Alternatively, if you need help or have any questions, ask away in the comments section below and I’ll get back to you as soon as I possibly can.